Secretary of State Mike Pompeo on March 26 said the Trump administration is moving on two fronts to ensure U.S. taxpayer funds are not used to “subsidize or promote” abortions abroad. 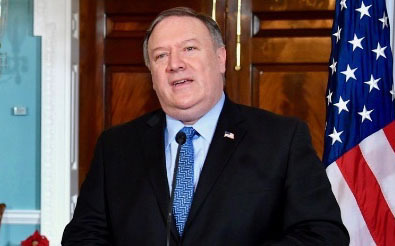 The moves include “refinements” to the so-called “Mexico City Policy” which prohibits U.S. funds from going to foreign nongovernmental organizations (NGOs) which perform or promote abortion, and a reduction in the U.S. contribution to the Organization of American States (OAS) over the OAS’s involvement in abortion-related activity, Pompeo told reporters at the State Department. The Mexico City Policy, a Reagan-era directive, was expanded by President Donald Trump in 2017. The institutions of the OAS “should be focused on addressing crises in Cuba, Nicaragua, and in Venezuela, not on advancing the pro-abortion cause,” Pompeo said. Another reporter asked if the Trump policy was “prioritizing abortions” over services for such things as HIV and tuberculosis funding. “Are you prioritizing preventing abortions over services that could be provided to save those lives and how does that fit in with the sanctity of life?” the reporter asked.